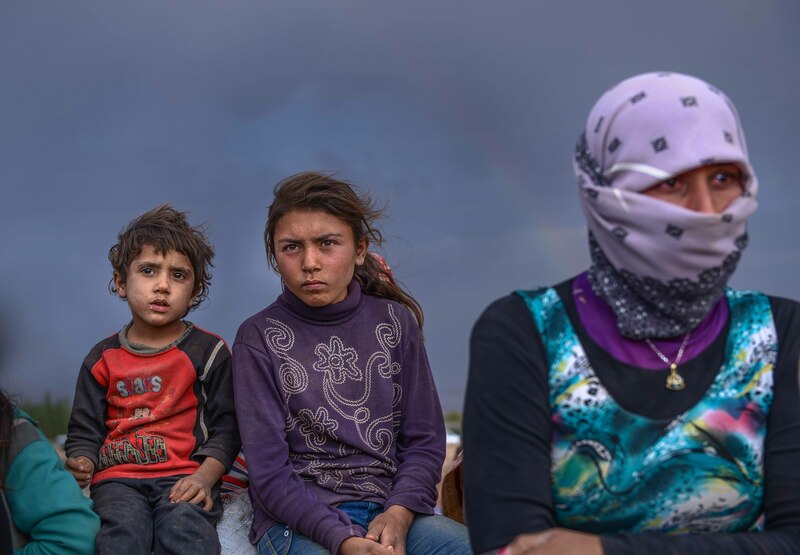 FOR WEEKS, the eyes of the world have turned to the small Syrian border town of Kobani, where Kurdish fighters are making a desperate stand against the barbaric terrorist army of the Islamic State, known to the world as ISIS. Despite the well-known savagery of ISIS, its repeated attempts at breaking through the town’s defenses, and limited aid from Western powers, Kobani has not fallen. 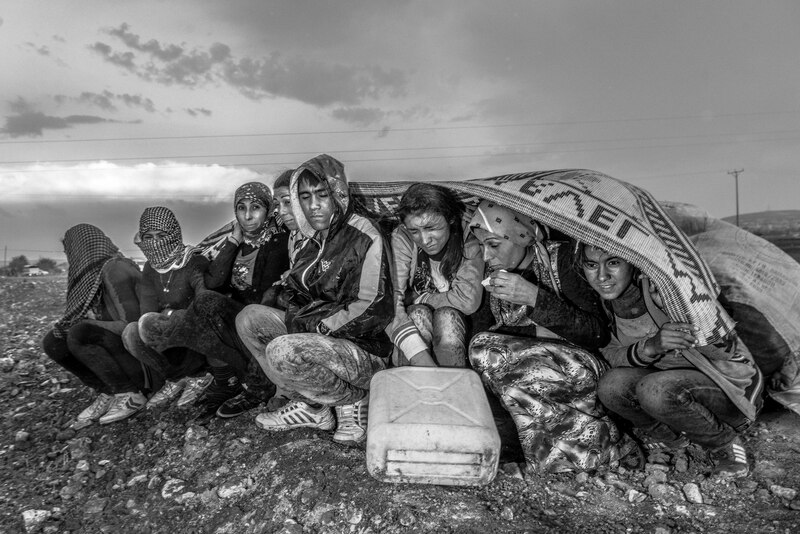 Fearing mass slaughter if they are defeated, Kurdish forces have kept up a relentless defense, and just last week Kurdish reinforcements were finally allowed across the nearby Turkish border to join the battle. Many believe that the tide is turning, and ISIS is slowly being pushed back from the beleaguered town. But this has come at a terrible price. 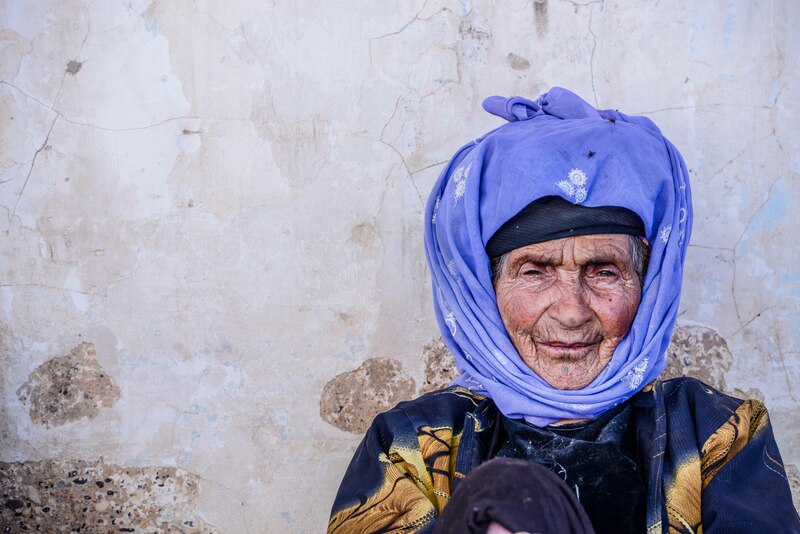 Casualties have been enormous, with Kurdish fighters and civilians killed in battle, slaughtered en masse by their murderous enemy, beheaded by barbaric captors, or forced into exile in order to escape the fighting. 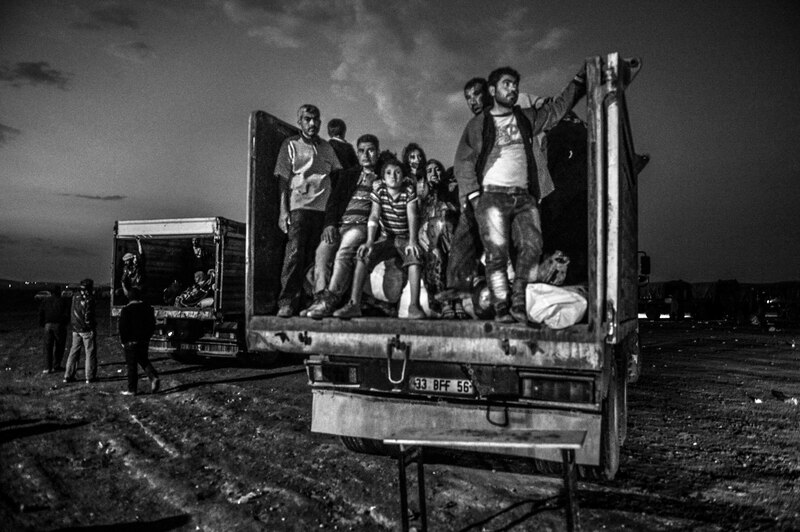 Photographer Aviram Valdman recently saw the horror of the situation firsthand. 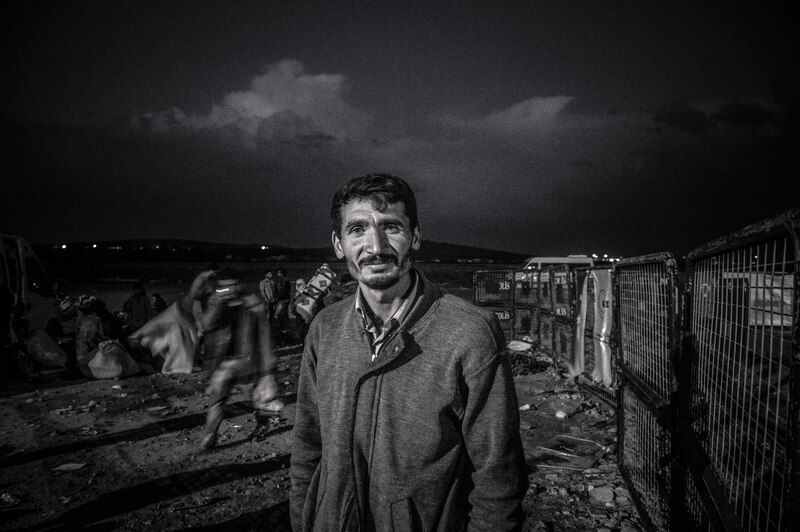 Refused entrance into Kurdish-controlled northern Iraq, he found himself in the Turkish town of Suruç. 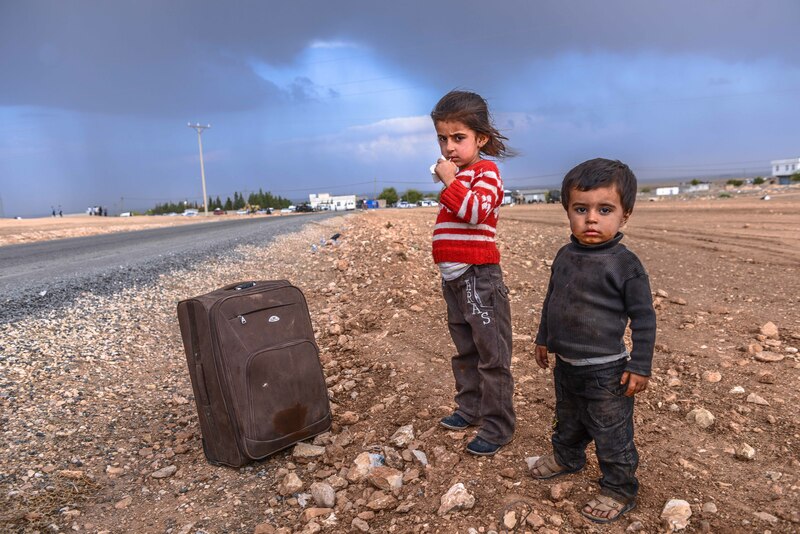 Barely 200 meters from the Syrian border and besieged Kobani, Suruç is now inundated with refugees—somewhere between 150-250,000 men, women, and children who have left everything behind, including loved ones both living and dead. In Suruç, Valdman witnessed a scene of desperation. The streets are awash with people, living and sleeping wherever they can. 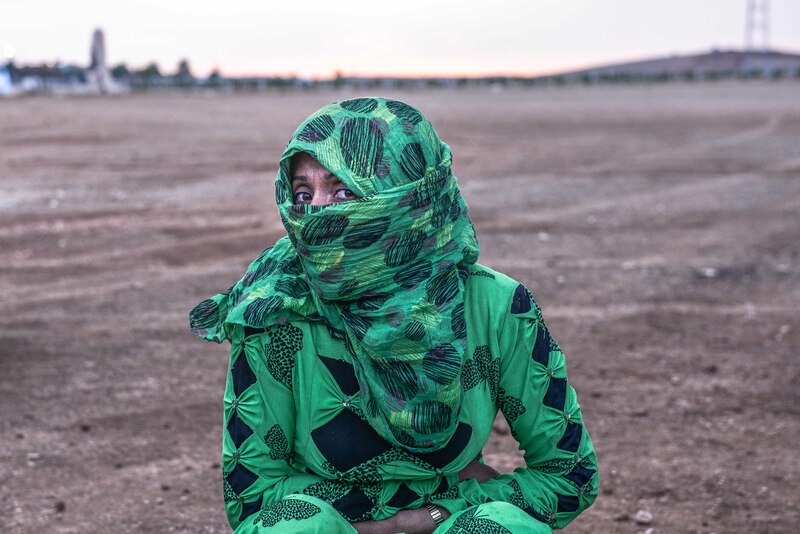 Many of them stand on the border, nearly hysterical as they watch and listen to the ongoing battle for their town, wondering if those they left behind will survive. And the city is in the grip of near-inconceivable fear. 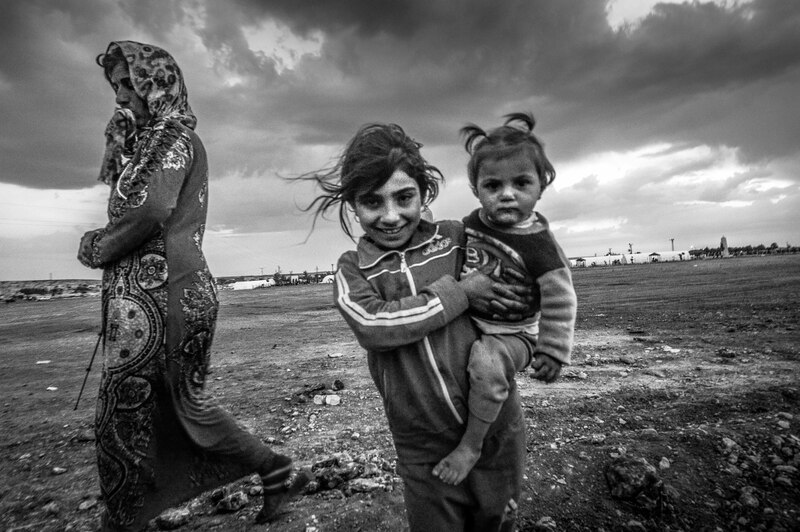 Many refugees refused Valdman’s requests for photographs, afraid that, if they are published, they or their loved ones will be murdered by ISIS in retaliation. Many of them have good reason to be afraid, with friends and relatives who have been captured, tortured, or killed by the Islamist terror group. On the border, Valdman also caught a glimpse of the battle itself. Only a short distance away, bombs explode, gunfire erupts, and clouds of smoke spiral into the not-so distant sky. The meaning of such images is clear: This is not the movies. This is not television. This war is real. 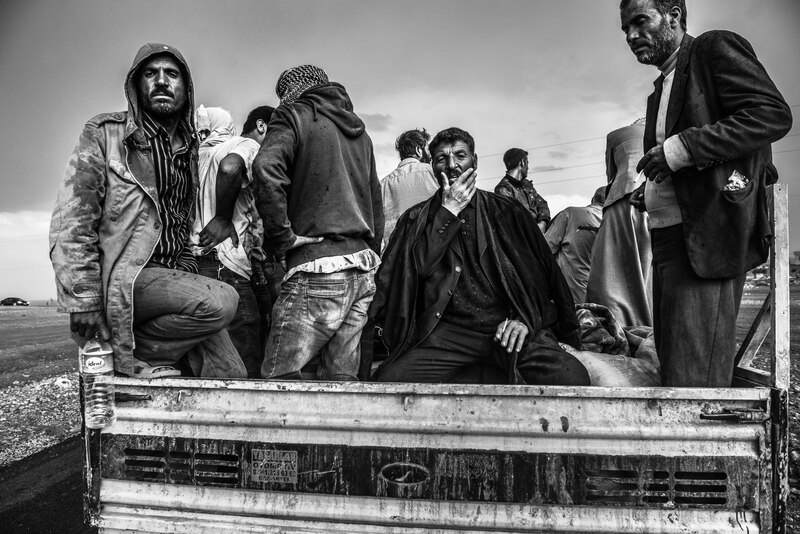 ISIS is slaughtering, the Kurds are fighting, refugees are fleeing, and the world is watching. For higher resolution viewing, click individual images. To view the complete set of images, see link to original source materials at bottom of page. Note: Originally published by Stratfor May 1, 2013. At a time when Europe and other parts of the world are governed by forgettable mediocrities, Recep Tayyip Erdogan, Turkey’s prime minister for a decade now, seethes with ambition. Perhaps the only other leader of a major world nation who emanates such a dynamic force field around him is Russia’s Vladimir Putin, with whom the West is also supremely uncomfortable. Erdogan and Putin are ambitious because they are men who unrepentantly grasp geopolitics. Putin knows that any responsible Russian leader ensures that Russia has buffer zones of some sort in places like Eastern Europe and the Caucasus; Erdogan knows that Turkey must become a substantial power in the Near East in order to give him leverage in Europe. Erdogan’s problem is that Turkey’s geography between East and West contains as many vulnerabilities as it does benefits. This makes Erdogan at times overreach. But there is a historical and geographical logic to his excesses. The story begins after World War I. Because Ottoman Turkey was on the losing side of that war (along with Wilhelmine Germany and Hapsburg Austria), the victorious allies in the Treaty of Sevres of 1920 carved up Turkey and its environs, giving territory and zones of influence to Greece, Armenia, Italy, Britain and France. Turkey’s reaction to this humiliation was Kemalism, the philosophy of Mustafa Kemal Ataturk (the surname “Ataturk” means “Father of the Turks”), the only undefeated Ottoman general, who would lead a military revolt against the new occupying powers and thus create a sovereign Turkish state throughout the Anatolian heartland. Kemalism willingly ceded away the non-Anatolian parts of the Ottoman Empire but compensated by demanding a uniethnic Turkish state within Anatolia itself. Gone were the “Kurds,” for example. They would henceforth be known as “Mountain Turks.” Gone, in fact, was the entire multicultural edifice of the Ottoman Empire. Kemalism not only rejected minorities, it rejected the Arabic script of the Turkish language. Ataturk risked higher illiteracy rates to give the language a Latin script. He abolished the Muslim religious courts and discouraged women from wearing the veil and men from wearing fezzes. Ataturk further recast Turks as Europeans (without giving much thought to whether the Europeans would accept them as such), all in an attempt to reorient Turkey away from the now defunct Ottoman Empire in the Middle East and toward Europe. Kemalism was a call to arms: the martial Turkish reaction to the Treaty of Sevres, to the same degree that Putin’s neo-czarism was the authoritarian reaction to Boris Yeltsin’s anarchy of 1990s Russia. For decades the reverence for Ataturk in Turkey went beyond a personality cult: He was more like a stern, benevolent and protective demigod, whose portrait looked down upon every public interior. The problem was that Ataturk’s vision of orienting Turkey so firmly to the West clashed with Turkey’s geographic situation, one that straddled both West and East. An adjustment was in order. Turgut Ozal, a religious Turk with Sufi tendencies who was elected prime minister in 1983, provided it. Ozal’s political skill enabled him to gradually wrest control of domestic policy and — to an impressive degree — foreign policy away from the staunchly Kemalist Turkish military. Whereas Ataturk and the generations of Turkish officers who followed him thought in terms of a Turkey that was an appendage of Europe, Ozal spoke of a Turkey whose influence stretched from the Aegean to the Great Wall of China. In Ozal’s mind, Turkey did not have to choose between East and West. It was geographically enshrined in both and should thus politically embody both worlds. Ozal made Islam publicly respected again in Turkey, even as he enthusiastically supported U.S. President Ronald Reagan during the last phase of the Cold War. By being so pro-American and so adroit in managing the Kemalist establishment, in the West at least Ozal — more than his predecessors — was able to get away with being so Islamic. Ozal used the cultural language of Islam to open the door to an acceptance of the Kurds. Turkey’s alienation from Europe following the 1980 military coup d’etat enabled Ozal to develop economic linkages to Turkey’s east. He also gradually empowered the devout Muslims of inner Anatolia. Ozal, two decades before Erdogan, saw Turkey as a champion of moderate Islam throughout the Muslim world, defying Ataturk’s warning that such a Pan-Islamic policy would sap Turkey’s strength and expose the Turks to voracious foreign powers. The term neo-Ottomanism was, in fact, first used in Ozal’s last years in power. Ozal died suddenly in 1993, ushering in a desultory decade of Turkish politics marked by increasing corruption and ineffectuality on the part of Turkey’s sleepy secular elite. The stage was set for Erdogan’s Islamic followers to win an outright parliamentary majority in 2002. Whereas Ozal came from the center-right Motherland Party, Erdogan came from the more openly Islamist-trending Justice and Development Party, though Erdogan himself and some of his advisers had moderated their views over the years. Of course, there were many permutations in Islamic political thought and politics in Turkey between Ozal and Erdogan, but one thing stands clear: Both Ozal and Erdogan were like two bookends of the period. In any case, unlike any leader today in Europe or the United States, Erdogan actually had a vision similar to Ozal’s, a vision that constituted a further distancing from Kemalism. Rather than Ataturk’s emphasis on the military, Erdogan, like Ozal, has stressed the soft power of cultural and economic connections to recreate in a benign and subtle fashion a version of the Ottoman Empire from North Africa to the Iranian plateau and Central Asia. Remember that in the interpretation of one of the West’s greatest scholars of Islam, the late Marshall G.S. Hodgson of the University of Chicago, the Islamic faith was originally a merchants’ religion, which united followers from oasis to oasis, allowing for ethical dealing. In Islamic history, authentic religious connections across the Middle East and the Indian Ocean world could — and did — lead to wholesome business connections and political patronage. Thus is medievalism altogether relevant to the post-modern world. Erdogan now realizes that projecting Turkey’s moderate Muslim power throughout the Middle East is fraught with frustrating complexities. Indeed, it is unclear that Turkey even has the political and military capacity to actualize such a vision. To wit, Turkey may be trying its best to increase trade with its eastern neighbors, but it still does not come close to Turkey’s large trade volumes with Europe, now mired in recession. In the Caucasus and Central Asia, Turkey demands influence based on geographic and linguistic affinity. Yet Putin’s Russia continues to exert significant influence in the Central Asian states and, through its invasion and subsequent political maneuverings in Georgia, has put Azerbaijan in an extremely uncomfortable position. In Mesopotamia, Turkey’s influence is simply unequal to that of far more proximate Iran. In Syria, Erdogan and his foreign minister, Ahmet Davutoglu, thought — incorrectly, it turns out — that they could effectively mold a moderate Islamist Sunni opposition to replace President Bashar al Assad’s Alawite regime. And while Erdogan has gained points throughout the Islamic world for his rousing opposition to Israel, he has learned that this comes at a price: the warming of relations between Israel and both Greece and the Greek part of Cyprus, which now permits Turkey’s adversaries in the Eastern Mediterranean to cooperate in the hydrocarbon field. The root of the problem is partly geographic. Turkey constitutes a bastion of mountains and plateau, inhabiting the half-island of the Anatolian land bridge between the Balkans and the Middle East. It is plainly not integral to a place like Iraq, for example, in the way that Iran is; and its Turkic language no longer enjoys the benefit of the Arabic script, which might give it more cultural leverage elsewhere in the Levant. 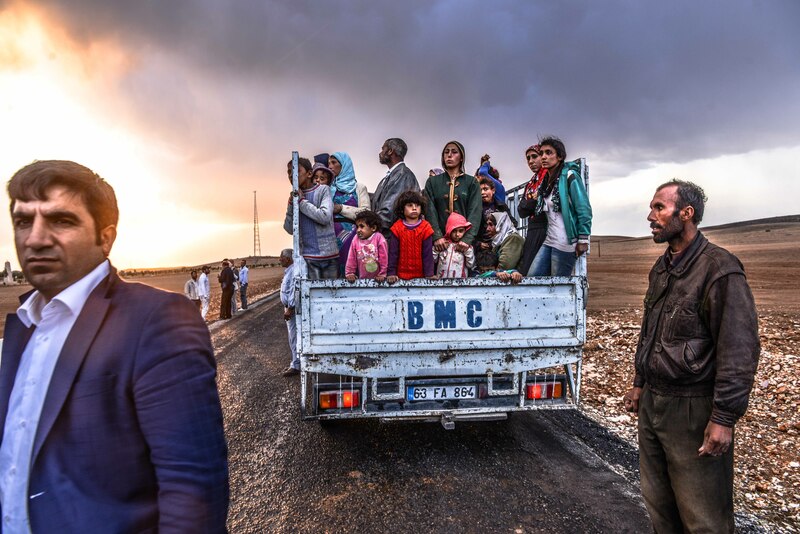 But most important, Turkey is itself bedeviled by its own Kurdish population, complicating its attempts to exert leverage in neighboring Middle Eastern states. Turkey’s southeast is demographically dominated by ethnic Kurds, who adjoin vast Kurdish regions in Syria, Iraq and Iran. The ongoing breakup of Syria potentially liberates Kurds there to join with radical Kurds in Anatolia in order to undermine Turkey. The de facto breakup of Iraq has forced Turkey to follow a policy of constructive containment with Iraq’s Kurdish north, but that has undermined Turkey’s leverage in the rest of Iraq — thus, in turn, undermining Turkey’s attempts to influence Iran. Turkey wants to influence the Middle East, but the problem is that it remains too much a part of the Middle East to extricate itself from the region’s complexities. Erdogan knows that he must partially solve the Kurdish problem at home in order to gain further leverage in the region. He has even mentioned aloud the Arabic word, vilayet, associated with the Ottoman Empire. This word denotes a semi-autonomous province — a concept that might hold the key for an accommodation with local Kurds but could well reignite his own nationalist rivals within Turkey. Thus, his is a big symbolic step that seeks to fundamentally neutralize the very foundation of Kemalism (with its emphasis on a solidly Turkic Anatolia). But given how he has already emasculated the Turkish military — something few thought possible a decade ago — one should be careful about underestimating Erdogan. His sheer ambition is something to behold. While Western elites ineffectually sneer at Putin, Erdogan enthusiastically takes notes when the two of them meet.